A unique experience to feel like a real nomad exploring the ever-changing scenery of Mongolian wilderness at Terelj National Park within 1.5-hour drive from the capital city of Ulaanbaatar. Take this marvelous trip through a breathtaking landscape with magnificent mountains in the backdrop while the eternal blue skies are hugging you. This trip allows you to step back in time and explore the simpler and nomadic way of living as well as Mongolian culture. This horseback riding adventure includes well-trained horses and highly qualified trainers who will guide you throughout your unforgettable experience. At the end of the tour, sit down for a flavorful traditional Mongolian meal, complemented by smooth local beer and kumis. The number of guests is limited up to five people to keep the experience as intimate as possible. Enjoy an unforgettable full-day trip to Gorkhi-Terelj National Park, which includes a visit to Chinggis Khan Statue Complex. This is a unique chance to explore the best of Gorkhi-Terelj National Park that is the third largest protected area in the country and considered as one of the most beautiful places in Mongolia. Moreover, this trip includes a soft hiking to Ariyabal Buddhist meditation temple, where you can relieve your city stress. Explore all the best locations in Gorkhi-Terelj National Park to make your trip to Mongolia as adventurous, unforgettable and yet relaxed as possible. 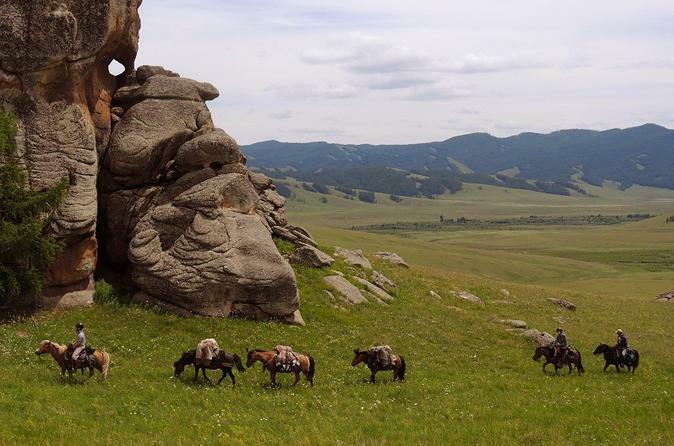 Visit Hustai National Park, home to the Takhi (Przewalski wild horses), to see the endangered horse species roaming freely on rolling hills of beautiful Mongolia along with other wildlife animals. The Park covers a vast area providing visitors a variety of outdoor activities to enjoy, including Takhi and bird watching, hiking, horseback riding, photography, and ancient ruin sight-seeing...etc. Terelj National Park is the ideal destination for anyone with limited amount of time to explore the Mongolia. A 1.5-2 hours drive away from Ulaanbaatar, you will be out in the open field and magnificent mountain ranges where you could experience and enjoy outdoor activities including horseback riding, camel or yak trekking, hiking, and photography. Ulaanbaatar Explorer Tour aims to provide an enthusiastic and authentic way to get-to-know Ulaanbaatar. 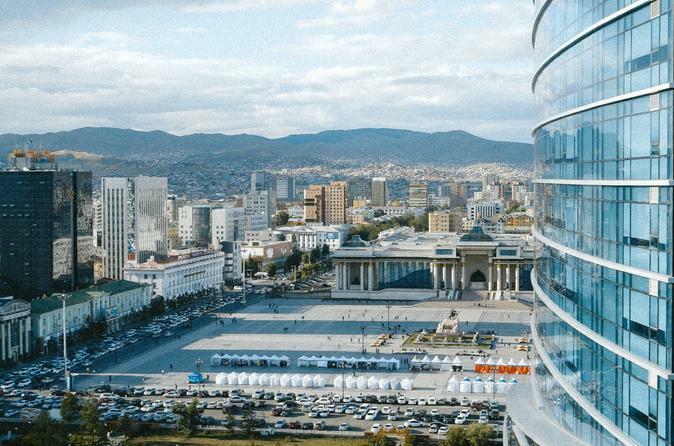 After a hotel pickup, begin this 5-hour sightseeing tour all around Ulaanbaatar. Led by a local guide, you'll pass through the most iconic sights, neighborhoods, and unique places where tourist don't usually go. Enjoy interesting conversation with stories and facts about the city. Your guide will pause for photo stops as you pass the quick attractions. Explorer tour is an excellent choice for those who wish to experience the real Ulaanbaatar City with their family and friends. 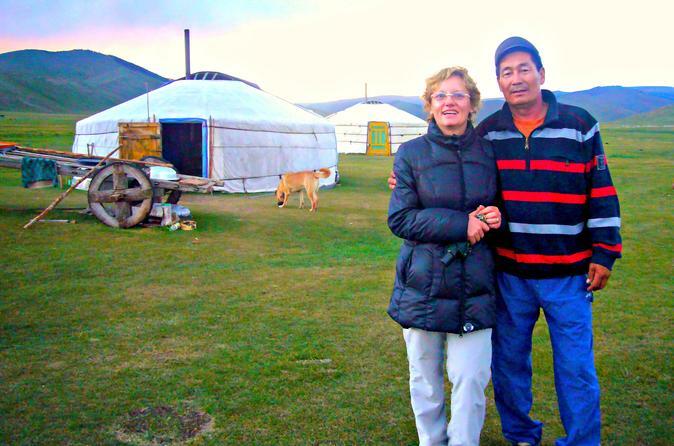 Explore Ulaanbaatar like an insider with a professional local tour guide and a private vehicle. This action-packed private day tour includes Ulaanbaatar's most iconic attractions. You could customize this tour by collaborating with your expert local guide based on your interests or follow the basic itinerary that we provide for an unforgettable trip. This tour is all about being a citizen of Ulaanbaatar for a day, so, embrace yourself and get ready to fall in love with Mongolia. 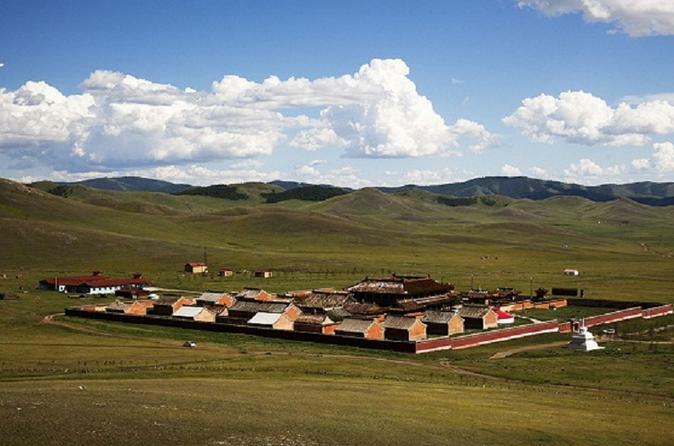 You will be amazed to see Erdene Zuu Monastery, one of the must see destinations in central Mongolia. The well preserved first Buddhist monastery in Mongolia, Erdene Zuu was established on the ruin of ancient Kharkhorin City in 1586 by Avtai Sain khan, probably is the most ancient surviving Buddhist monastery in Mongolia. 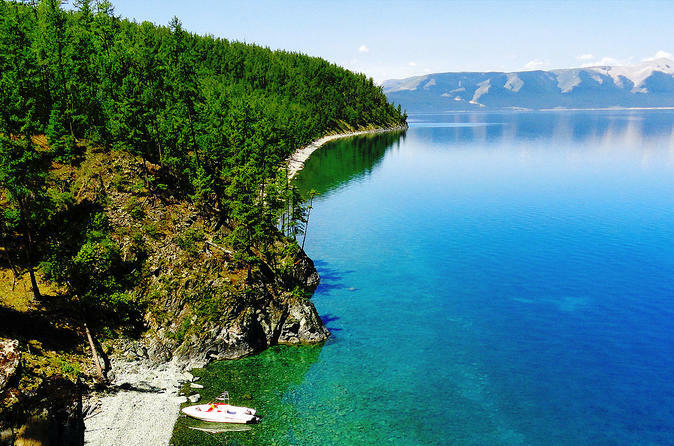 The monastery is located in Kharkhorin sum/district , Uvurkhangai province. It is surrounded by fortress wall sized 1,378 feet (420 meters) tall on each side, with 108 stupas. In 1792, it housed 62 temples because Mongolian lords tried to have temples with their own names inside the wall of the monastery as it is a symbol of high regards. Also in 1658, the biggest ger consists of 35 walls, 1700 long pole, and could contain 200 people was built at the center space of monastery wall. Today, there are monks still living inside the monastery. As an economic, political, and cultural center of Mongolia, Ulaanbaatar provides you with a variety of attractions and other destinations. Whether you are visiting Ulaanbaatar for business or pleasure, you should definitely set aside some time to explore its history, arts, and museums to better appreciate the country and its role in relation to the region as well as the world. 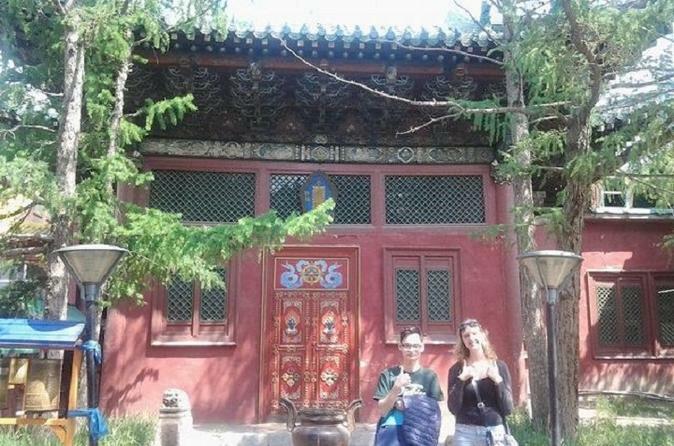 During this tour, you will visit most popular museums along with highlight of other attractions and shopping centers in Ulaanbaatar. This is a gem-packed 8-day tour that allows you to explore popular attractions and experience Mongolian culture. Book this tour to create your very own unforgettable memories. 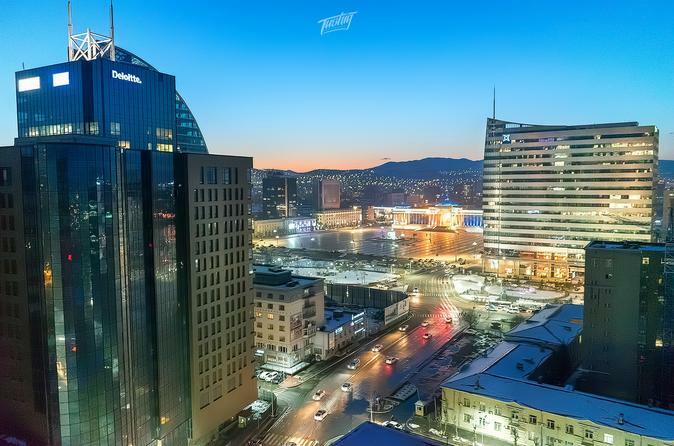 This full-day tour showcases the major sights of Ulaanbaatar including the Gandan Monastery, the Museum of Ethnology, Bogd Khan Palace, and Zaisan Hill. A cycle tour through the lanes and stalls of the lively Naran Tuul market, also known as the “Black Market,” is also a highlight. The tour ends with a stop at a local cashmere and wool factory outlet where you may purchase garments knit from the fine fibers of Mongolian goats. Lunch, bottled water, and hotel pickup and drop-off are included. This private and bespoke excursion throughout Ulaanbaatar is lead by a dedicated and professional guide who is specially tailored for you. You will be fully immersed into Ulaanbaatar and be introduced to areas and places less traveled by tourist in Ulaanbaatar because there is so much more to Ulaanbaatar than Chinggis Khan (Genghis Khan). 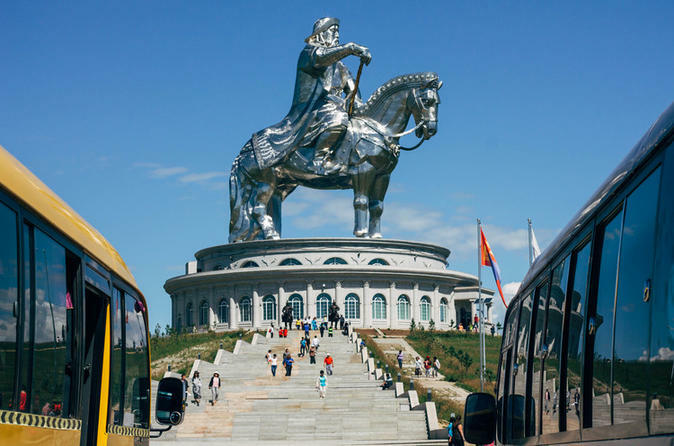 If you come to Ulaanbaatar, you should not miss Genghis Khan Statue Complex which is currently the biggest (131ft/40m tall) equestrian statue in the world. It is connected to Ulaanbaatar by a paved road of 34mi/54km. The complex includes a recreation area, restaurants, and souvenir shops occupying the base of the structure. From here, you could use an elevator or walk to the head of the horse through chest and back of the horse neck where you will have a fantastic panorama view over the nearby area. If you have very limited time to see Mongolia, this is a perfect tour for you. Terelj National Park is a great place to visit because it is only a short ride away from Ulaanbaatar where you could enjoy natural scenery with open fields, gorgeous mountains, and many more. 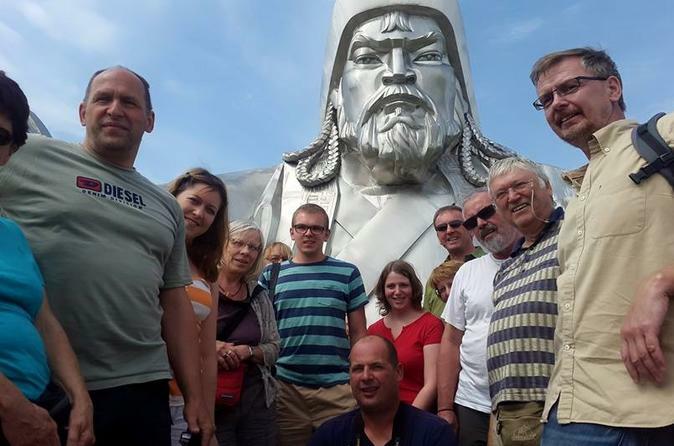 On this tour, you will be taken on a horse ride, meet a nomadic family, and visit the tallest statue in the world. So many activities have been packed into this day trip so that you could experience Mongolian lifestyle and wanting to come back again! Take a full-day trip to Gorkhi-Terelj National Park from Ulaanbaatar, including a visit to Genghis Khan's Statue Complex, the biggest equestrian statue in the world at 131 feet (40 meters). 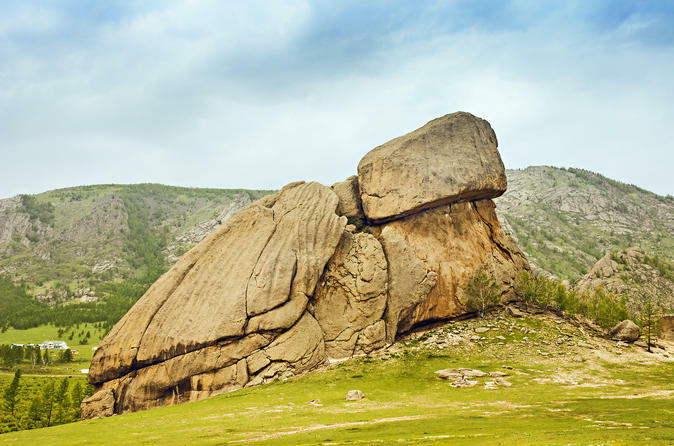 Terelj National Park is one of the most visited and interesting national parks in Mongolia, known for its natural beauty, forested mountains, and interesting rock formations. With a guide, you'll have a chance to meet a local nomadic family who lives amid this the magnificent scenery, plus explore Turtle Rock and take a mild hike to Ariyabal meditation temple. Escape vibrant Ulaanbaatar city and take this day tour across Terelj National Park’s stunning landscape with an insider’s insight on ancient Mongolia’s history, culture and traditional way of life. From the giant Genghis Khan statue to the granite formed high mountains and meditation center, this is a day tour that picks the very best that Gorkhi-Terelj National Park has to offer. This package includes everything you need for an unforgettable day out: private air-conditioned car transport to and from your hotel, an English-speaking guide and driver, all entrance and parking fees and petrol...plus all the activities listed in the itinerary. Ulaanbaatar’s ger district is home to hundreds of thousand of people, packed tightly in astonishing density, which is also what the city used to look like before the old Soviet apartments started declaring itself. A ger district is a narrow alleyway formed by joining together household fences. When you hear people speak of “the ger district,” they often refer to the neighborhoods formed by these alleys. 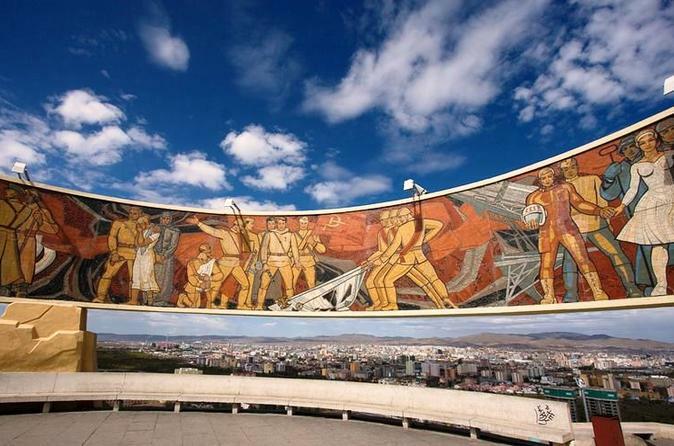 This tour will take you to visit the renowned ger district of Ulaanbaatar for a day! Gun-Galuut Nature Reserve is a protected area in Tuv Province, 81 miles (130 kilometers) east of Ulaanbaatar, for conservation of globally endangered species. It comprises of three zones: tourism, limited, and the Core, which are steppes of the ecosystem with rocky mountains, small lakes, rivers, streams and wetland covering an area of approximately 20,000 hectare. Although the reserve is comparatively small, the diversity of ecosystem here is impressive. 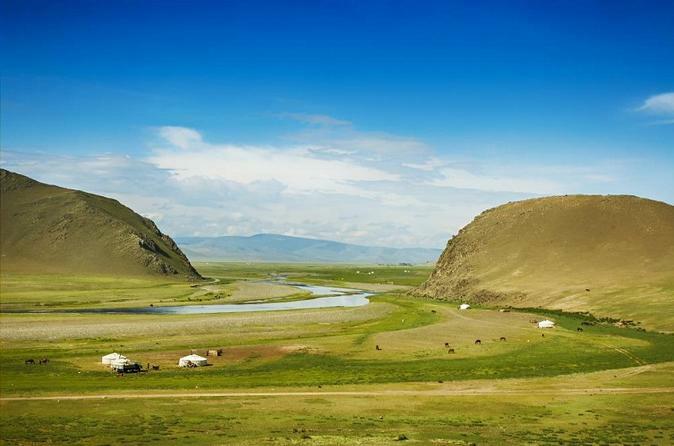 If you have limited time to see Mongolia, this is a perfect tour for you. Terelj National Park is a great place to visit because it is only a short ride away from Ulaanbaatar where you can enjoy the natural scenery with open fields, gorgeous mountains and much more. 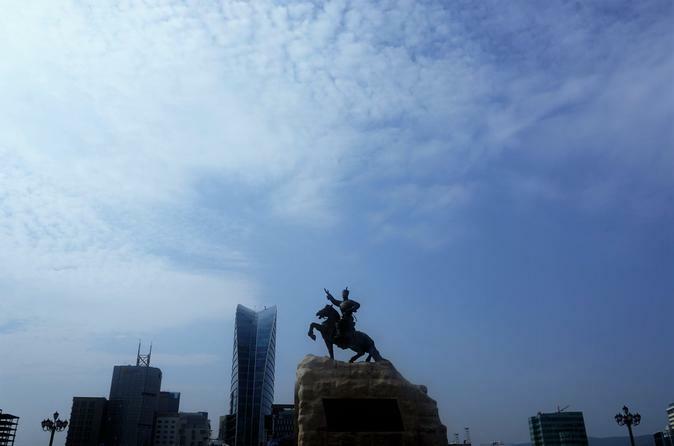 On this tour, you will be taken on a horse ride, meet a Nomadic Family and a visit to the tallest statue in the world. So many activities have been packed into this one day trip so that you could experience Mongolian lifestyle and come back again and again! The Gobi desert is far away for a short weekend or a day's visit; therefore, this "semi-Gobi" in central Mongolia is your chance to experience desert life. Imagine a picture that consists of the Rocky Mountains in the back, sand dunes extending over dunes, green trees in and by the dunes, and a river flowing along the dunes. That is what Semi-Gobi looks like! 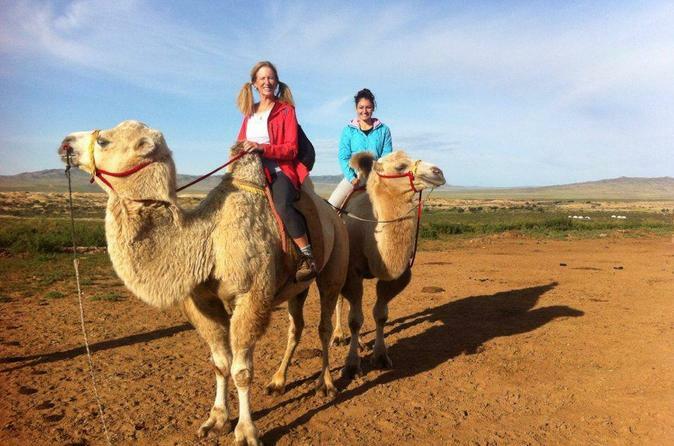 Camel riding or horse riding is also included in this tour. Join this day trip and spend a day hiking on a nature reserve with a visit to one of the many ruins of Mongolian monasteries nearby Ulaanbaatar. See the classic sights of Ulaanbaatar on a private 9.5-hour city tour covering Gandantegchenling Buddhist Monastery, Genghis Khan Square, the National Museum of Mongolia, Bogd Khan Palace Museum, and Zaisan Memorial. This busy day also includes a Mongolian-style lunch at a local restaurant. If you would like to shop for cashmere or other products, this can be accommodated by the private guide. 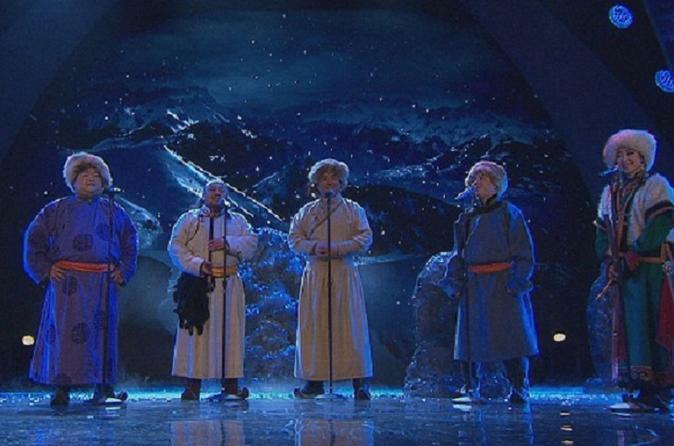 Throat singing is an amazing Mongolian practice that you should not miss. 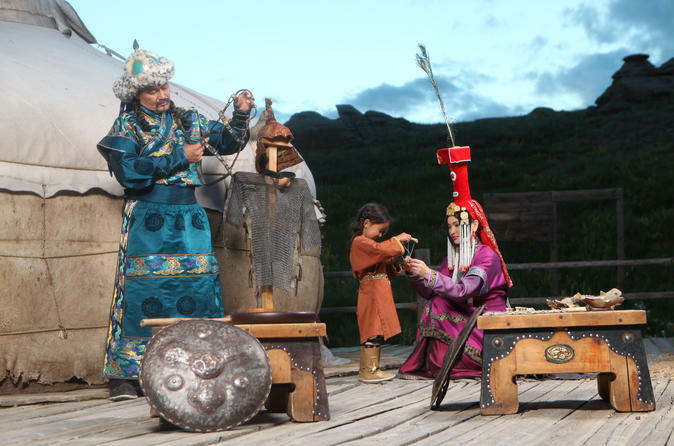 You will learn of the history and different types of throat singing as well as the practical approach for how to perform it through the knowledgeable team. By the end of the lesson, you will gain an appreciation of this art that has been passed down through generations. 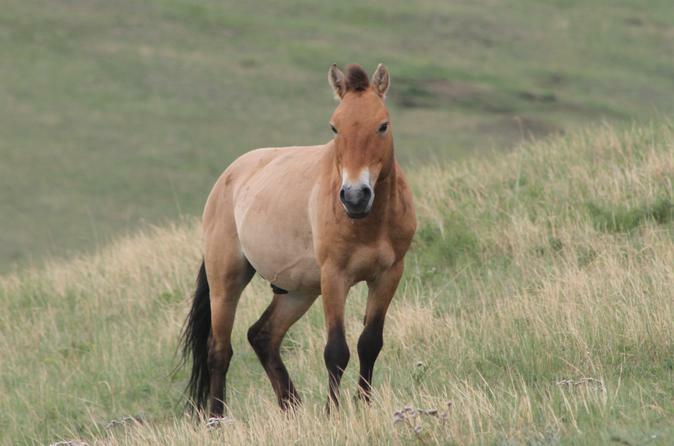 Book this private tour for a day of exploration in Khustai National Park to get an up-close experience with the nature and wildlife including endangered "Przewalski" horses. The tour starts and ends in Ulaanbaatar and lunch is included in the package. Spend a day discovering Mongolia’s booming capital of Ulaanbaatar on an 8-hour guided tour of the city’s main attractions, providing an overview of Mongolian history and culture. Highlights include Chinggis Square, Zaisan Hill, Gandan Monastery, and the National Museum of Mongolia. Lunch and hotel pickup and drop-off are included. 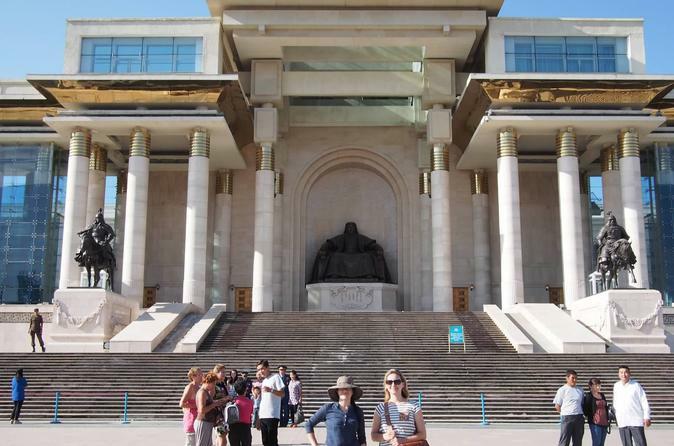 Book this tour and spend a day in Mongolian metropolis of Ulaanbaatar. 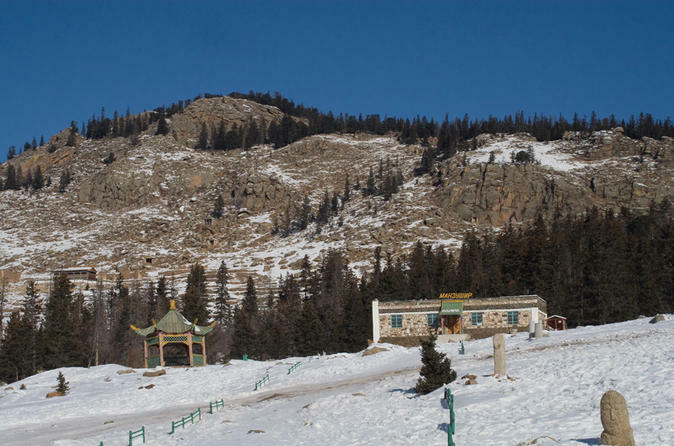 Visit Chinggis Khaan Square, Gandan Monastery, National History Museum, Zaisan Memorial, Buddha Park, and Bogd Khan Winter Palace Museum to immerse yourself in Mongolian culture and religion. A Mongolian lunch is included. Unlike what most people think about the desert, the Mongolian Gobi desert is mostly vegetated, vast steppe and a home to a large number of camel herders. Due to its size and sparse in habitation, it instantly brings tranquility and evokes mysteries to its visitors. 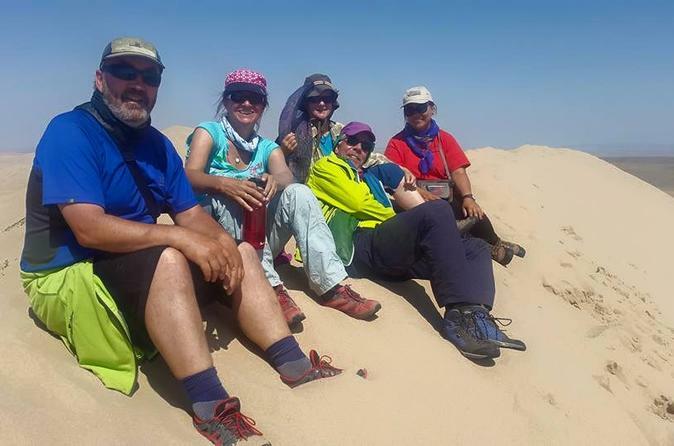 During this trip, we will reveal to you the most highlighting components of this legendary desert – Eagle Valley, Khongor sand dunes and Bayanzag, which was home to dinosaurs many years ago. To ensure your comfort and satisfaction, we reserved a round-trip ticket to/from the Gobi desert here for you. There's a certain magic to visiting Mongolia, and this tour allows you to experience Mongolia's gorgeous scenery and culture. Spend the day exploring Terelj National Park, visit with a nomadic family, and see the statue of the legendary Mongol horseman, Genghis Khan. 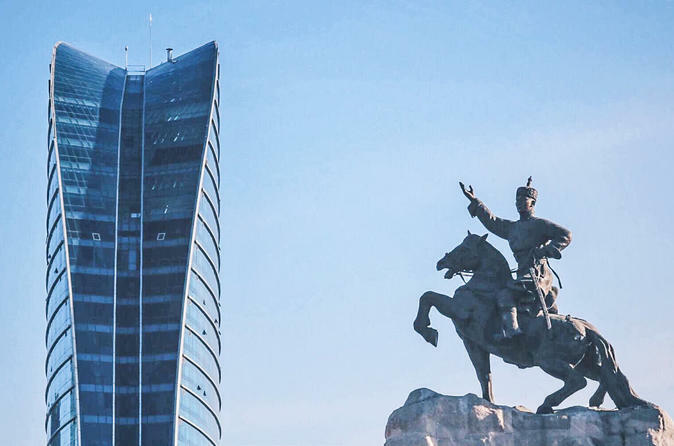 Joining this trip offers a great opportunity to explore the history of Genghis Khan (Chinggis Khaan) by visiting Mongolia’s famous status of the hero on his horse. This statue, showing Chinggis Khaan (1162-1227) with a golden whip in his right hand gazing into the distance, has been erected at the Tsonjin Boldog site connected to many historic events in the territory of Erdene soum in Tov aimag, 54 km from Ulaanbaatar. The Mongolia “XIII Century Theme Park” is located in 98 km distance from Ulaanbaatar city, Erdene administrative unit, Tuv province. The old micro-kingdom tour to 13th century life atmosphere will leave you with an unforgettable experience. Join this day trip to visit Amarbayasgalant Monastery for an unforgettable cultural experience as well as soaking up beautiful scenery and landscape of north central Asia. 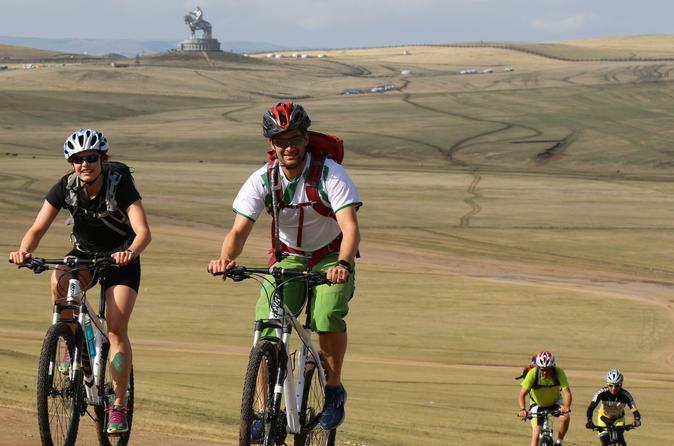 Explore amazingly beautiful landscapes of Baga Khentiy Mountain through this intermediate level moderate mountain biking tour for a change from typical city coach and hiking tour. 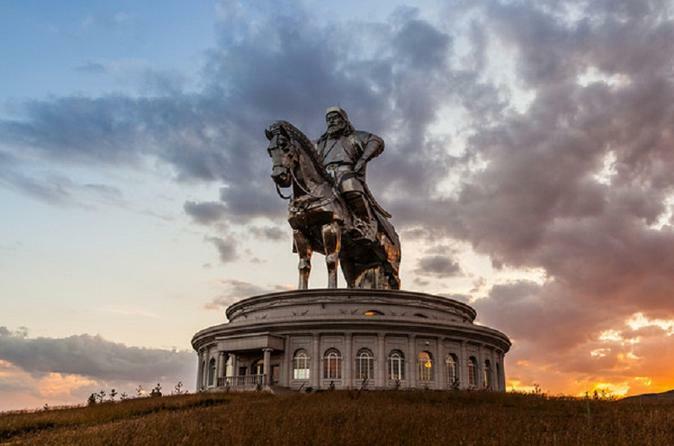 Escape Ulaanbaatar to visit the outstanding Genghis Statue and discover the unique nature of the Terelj National Park on this self-guided road trip with a modern 4x4 rental car. 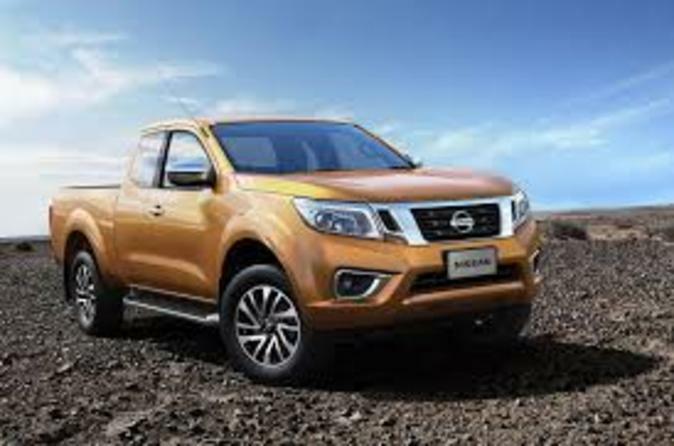 You could pick up your vehicle in the morning from a selection of locations in Ulaanbaatar or directly from the airport. A road map with driving instructions is provided along with the vehicle. Embark on this 4-Night journey with a small group of no more than 15 to Huvsgul. 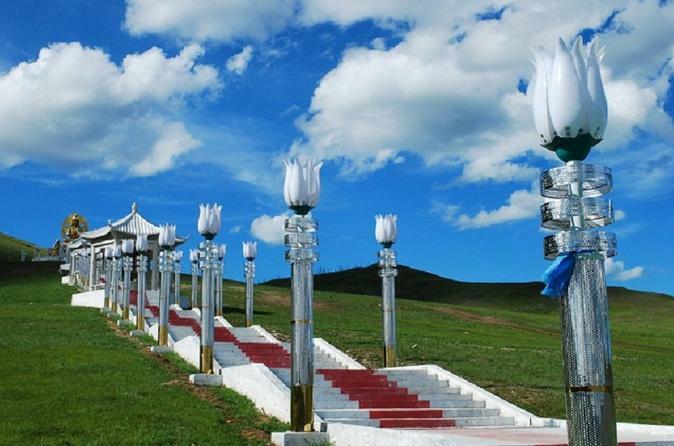 Upon your arrival in Ulaanbaatar, you will be transferred to a hotel and then head to Murun the next day. Continue to see the Blue Pearl (also known as Huvsgul Lake) in Huvsgul where you will see real reindeer! 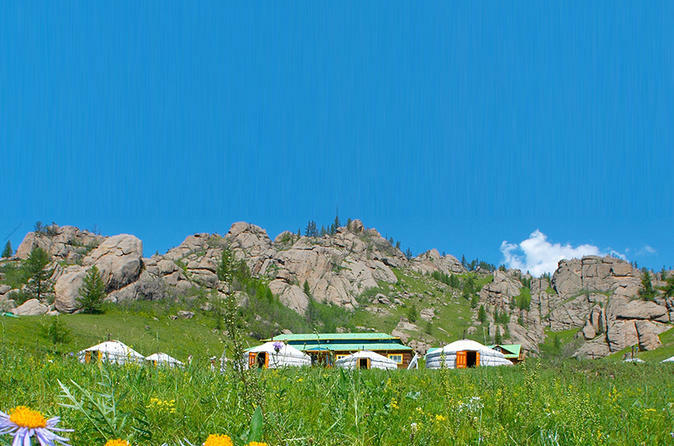 All meals and accommodations will be provided so that you may have the best experience and enjoy Mongolian's beautiful natural to the fullest. We welcome you to a lush green field with a new 18-hole par 72 Championship Golf Course, a masterpiece of the highly acclaimed golf course. The Mt. Bogd Golf Club is located 13km southeast from Ulaanbaatar city in the beautiful valley of BogdKhaan Mountain. 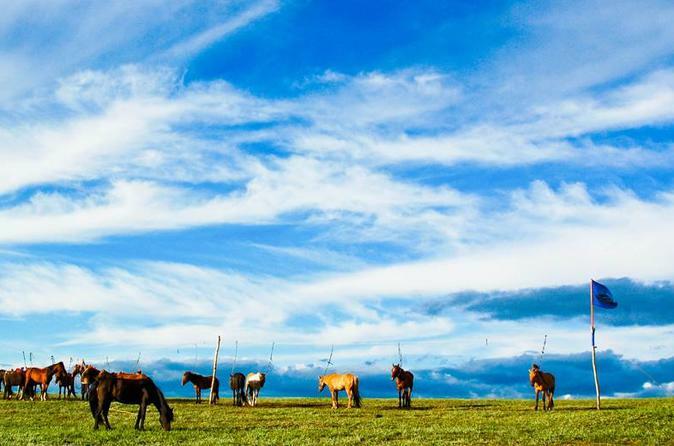 You will feel truly relax within 2 days in the wilderness in the Mongolian fresh air under the blue skies. 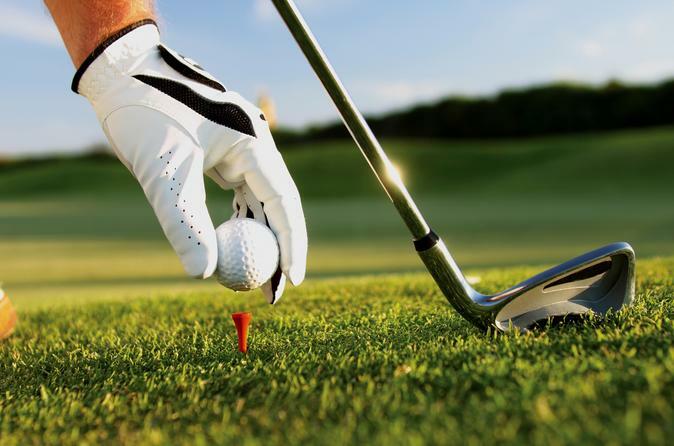 We highly recommend this golf weekend tour to all of the visitors and business clients. This tour includes round-trip transfer between hotel and golf course, 18-holes at Mt. Bogd Golf Club. You will also have the chance to see the Chinggis Khaan stately statue. Naadam Festival is a major Mongolian holiday and a wonderful time to experience the culture and people of this amazing land. 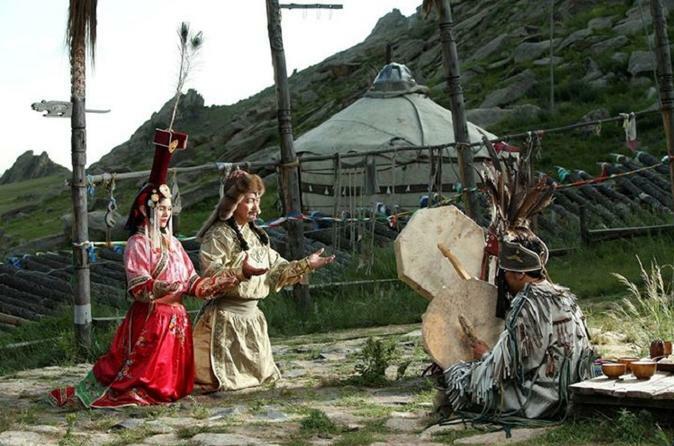 The festival has its roots in nomad wedding assemblies and hunting extravaganzas of the Mongol Army. The opening ceremony features marches and music from soldiers, monks and athletes before the real fun begins! 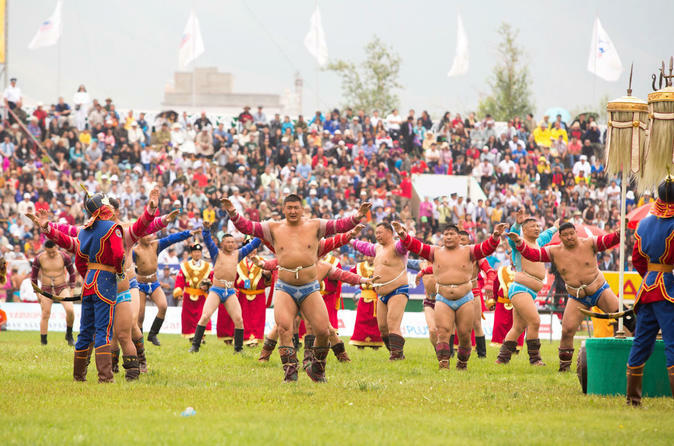 In the Naadam Stadium, the three sporting passions of Mongolians, horse racing, wrestling and archery, are played out over 2 days. 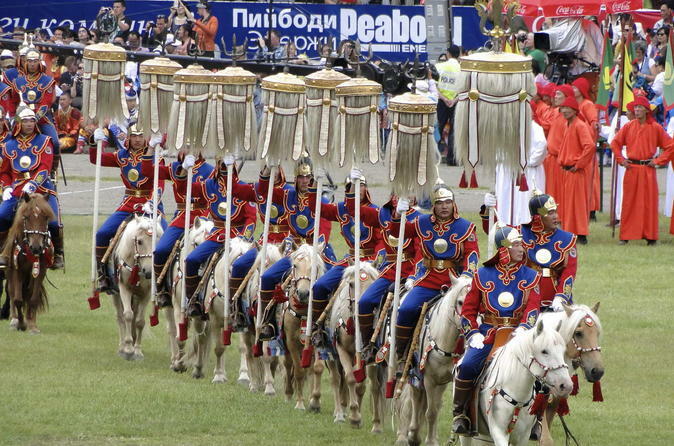 This tour takes you to behind the cultural background of ancient traditions The largest festival of Mongolia's three games of men, The Naadam, and which is celebrated on the anniversary of the People's Revolution, on 11 July. The opening ceremony will open with a salutation of the State Presidents those assembled in the stadium. And performances by singers and bands and cultural events of ethnic groups are also to be seen that day. you will also have the chance to discover the Mongolian Gobi, Khangai traveling across more than 1200 kilometers of Countryside.Orkhonvalley and desert sand other wonderful locations for visiting the ancient capital, their histories Karakorum Erdenezuu temple, recreation, scenic forests horseback herding people's lifestyle, such as traveling exhibits, services, and activities can be a route. We offer a travel professional quality, capable, reliable and friendly service activities will be satisfied. A tour without having an excited night party at a club is no doubt incomplete. Mongolia is a beautiful place not only made by nature but also, of course, the lively touch given by its people, too. 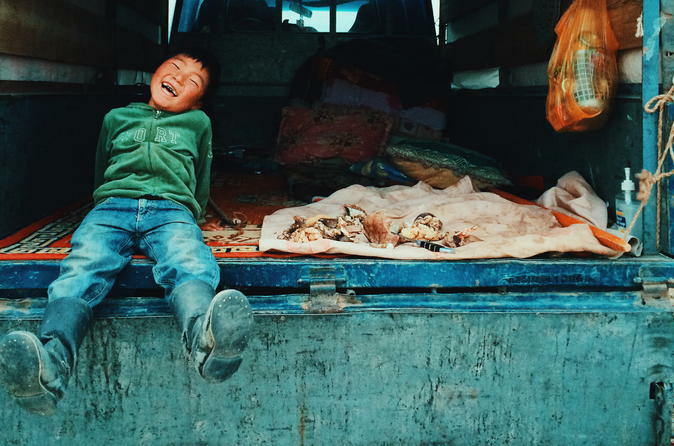 The youngsters of Mongolia enjoy each day with excitements and fun. 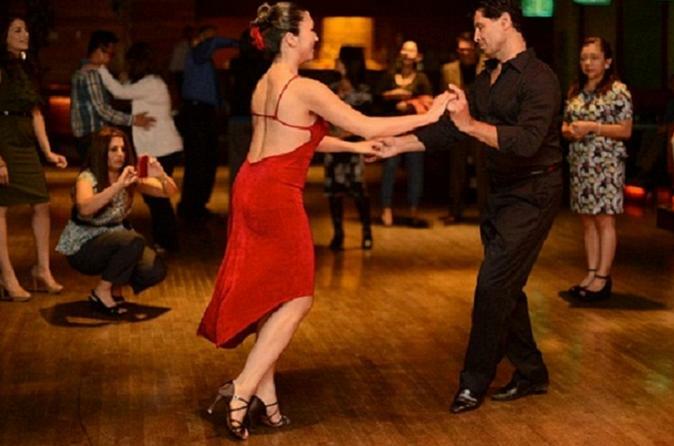 Salsa, Bachata, and Kizomba are some of the favorite Latin dances mostly preferred by them. If you have intentions to experience such an amazing night at a club with all these energetic people, you will be picked up from your hotel and taken to the best of dance clubs in Mongolia at 9pm. Whether you are a beginner or advanced level dancer, a free lesson will be provided to you. In Mongolian traditions, horses are one of the most respected and beloved animals of all species and considered as "spiritual animals." 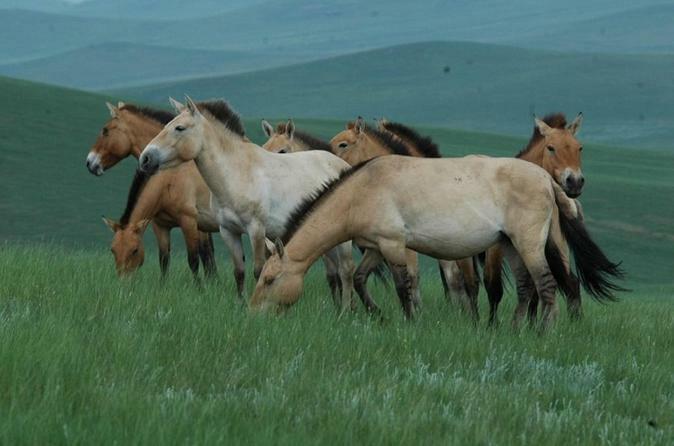 Today, horses still play a major role in Mongolian people's daily lives despite the modernization of this country. 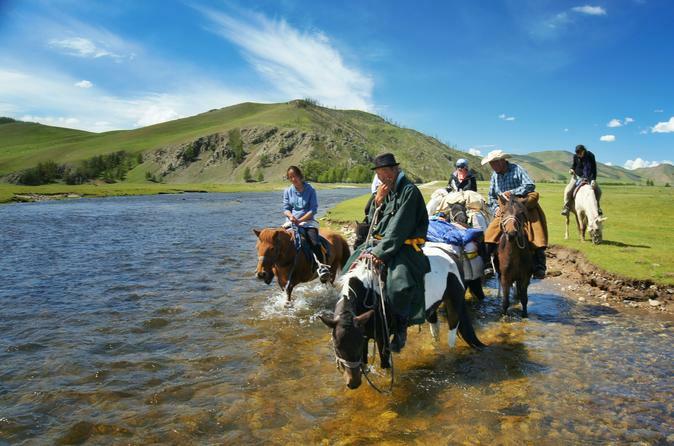 An equestrian vacation in Mongolia is just as much of a cultural experience as an equine experience. This one day horseback riding tour is a perfect choice for you to experience the nomadic lifestyle that includes a visit to a historical temple and a nomad family. 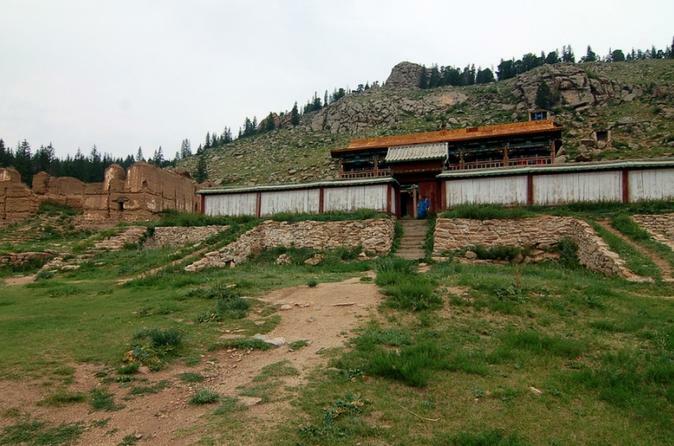 Manjusri Monastery is a former Buddhist monastery established in 1733 and destroyed by Mongolian communists in 1937. Its ruins are located approximately 15 kilometers south of the Mongolian capital Ulaanbaatar at the southern slope of Bogd Khan Uul Mountain. Mongolian shamanism is an all-encompassing system of belief that includes medicine, religion, a cult of nature, and a cult of ancestor worship. In 13th century, the leading shaman declared Genghis Khan the representative of Mongke Koko Tengri (the "Eternal Blue Sky"), the supreme god of the Mongols. With this declaration of divine status, it was accepted that his destiny was to rule the world. Religious tolerance was practiced in the Mongol Empire; however, to defy the Great Khan was equivalent of defying the will of God. Central to the system were the activities of male and female intercessors between the human world and the spirit world, Shamans (böö) and Shamanesses (udgan). Yet, they were not the only ones who could communicate with the spirit world. Nobles and clan leaders also performed spiritual functions and so did commoners. The hierarchy of Mongolian clan-based society was reflected in the manner of worship. Ulaanbaatar has 380 years of history. The capital city has been moved 29 times to finally settle down by the bank Tuul river. 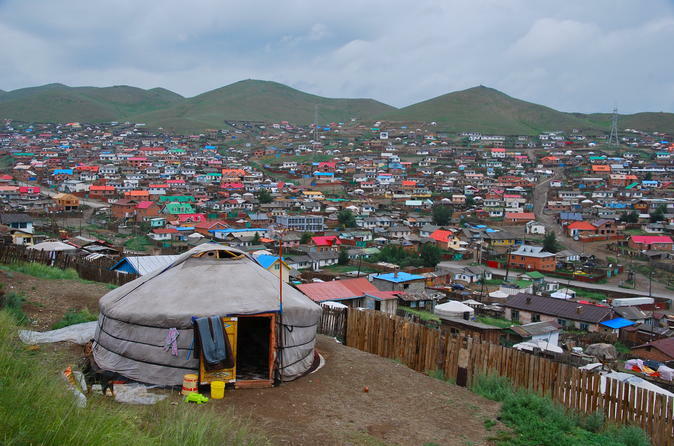 100 years ago, with the name Urguu, Ulaanbaatar was all yurt felt dweller nomad town. During soviet time, Ulaanbaatar was built anew and gained a name of Asian White Beauty. 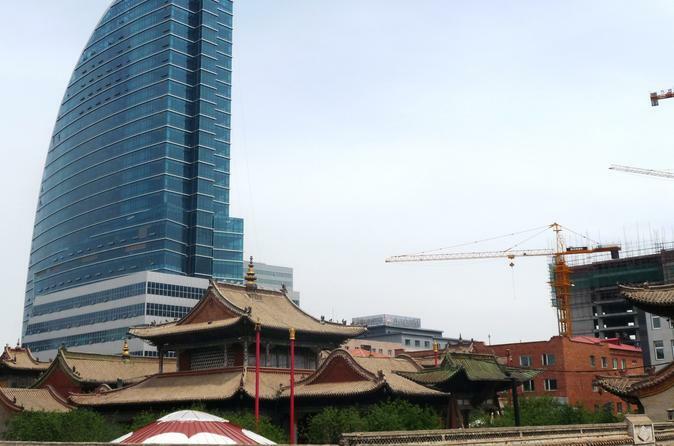 Modern Ulaanbaatar still preserves the historical touch of different periods of time of Mongolia. It is old but new, all in one, which leaves remarkable impression and joyful contrast to first time visitors.